Nintendo Ltd/ADR (OTCMKTS:NTDOY) has gotten its groove back. And of course, the key driver has been the wildly successful Switch hand-held console that retails for $300. For the year-end of March, sales of the platform surged, coming to 17 million. Nintendo stock could be poised for a glorious return. The Switch has turned out to be the kind of hardware system that meets the needs of the smartphone generation. It also helps that there are marque brands to leverage for compelling content, such as Zelda, Donkey Kong and Mario. The result is that Nintendo stock has gotten a nice lift. During the past 12 months, the shares have posted a return of about 38%. But the gaming industry can be extremely fickle. Just look at other gaming stocks that have flamed out like Zynga Inc (NASDAQ:ZNGA). Besides, the competitive environment is fierce. Nintendo must fight against biggies like Microsoft Corporation (NASDAQ:MSFT) and Sony Corp (ADR)(NYSE:SNE). Yet good news is that the company is not resting on its laurels. Rather, it is doubling down on the Switch by creating more and more content. Pokémon Quest: Launched this week, the game is free to play and has in-game purchase mechanics. This is an RPG (Role Playing Game) where you explore an island and hunt for treasure. Oh, and yes, you will need to battle wild Pokémon. Pokémon: Let’s Go, Pikachu! And Pokémon: Let’s Go, Eevee! : These are expected to hit the market in mid-November and will retail for $60 each. Again, when it comes to the gaming industry, it’s tough to gauge the success of new titles. But the fact is that the Pokémon franchise has been popular for over 20 years. It is also important to note that the Pokémon Go mobile app has also been a big winner. In other words, having Pokémon on the Switch has a pretty good chance of success in driving more console sales, which are expected to reach 20 million in the year ahead. When it comes to Nintendo stock, there are certainly more drivers than just Pokémon. Note that the company is focused on capitalizing on digital distribution, which has been key for companies like Electronic Arts Inc. (NASDAQ:EA) and Activision Blizzard, Inc. (NASDAQ:ATVI). To this end, Nintendo has built its Switch eShop and plans to launch the Switch Online platform in the fall of this year. But in the meantime, the company has been investing in its mobile app business, which continues to see traction. What’s more, there is the Labo cardboard-building kits that have proven to be quite popular. Although, for investors in Nintendo stock, it’s critical to understand that the business has lots of potential operating leverage. Just look at the prior annual results. Revenues soared by 116% to $9.66 billion and earnings jumped by a staggering 505% to $1.62 billion. Granted, the price-to-earnings ratio on Nintendo stock is a bit pricey, at about 37X. But then again, this is a company in the growth mode and there are few signs that things will slow down anytime soon. 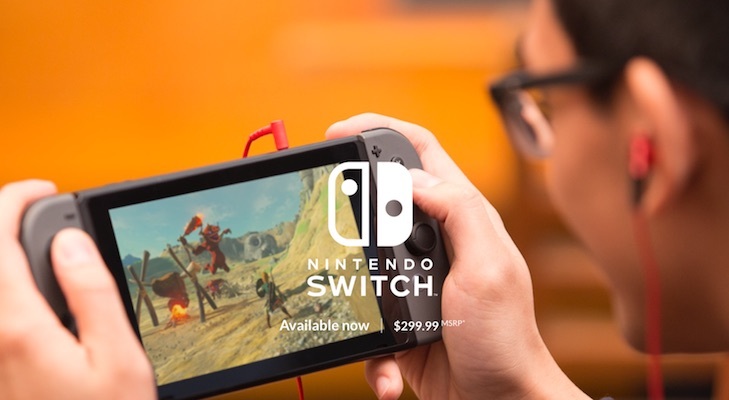 Article printed from InvestorPlace Media, https://investorplace.com/2018/06/switch-success-nintendo-stock/.